We are now 4 weeks into our composting program at Springdale Park. So far, we have diverted 160 lbs of green waste from Georgia landfills! SPARK students (and teachers and custodial staff) are doing a great job adjusting to the new routines of sorting their trash in the cafeteria, reducing the waste they are contributing to the landfill, specifically their food scraps, compostable lunch trays, and paper boats. Our compost bin has been picked up by Compost Wheels weekly and they have been composting our food scraps for us offsite. This program ensures that 100% of our food scraps are composted into useable soil rather than our program being limited by the capacity of our space and resources at the school. 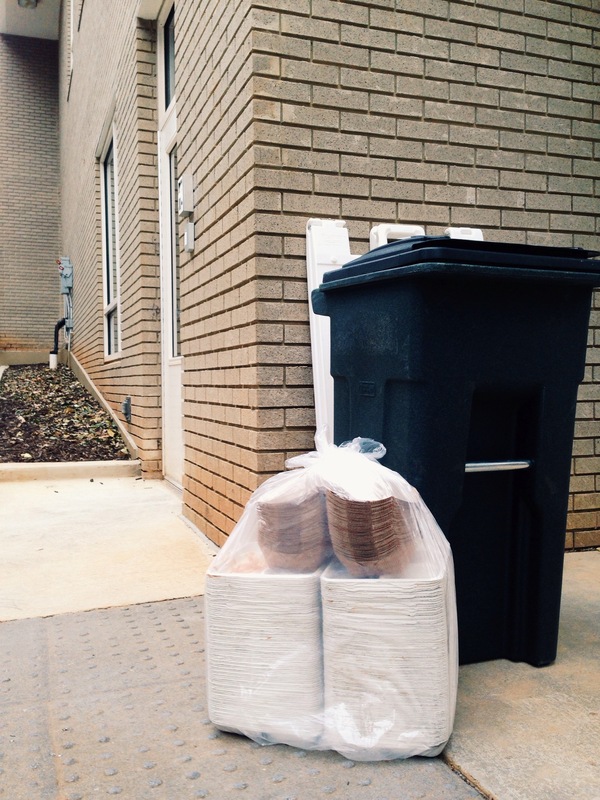 This service with Compost Wheels is $27.00/week for a 32 gallon bin, picked up once each week. We are only funded through the end of this week. Please consider joining our list of sponsors! To donate, please go to http://springdaleparkelementary.org/wp/ (and fill in “Mobley” under “Teacher Name” so the funds can be allocated appropriately). 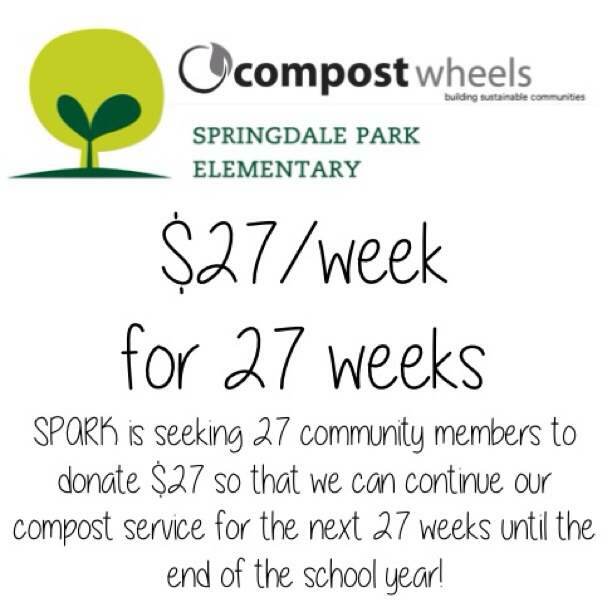 Thank you for supporting our compost program at Springdale Park!